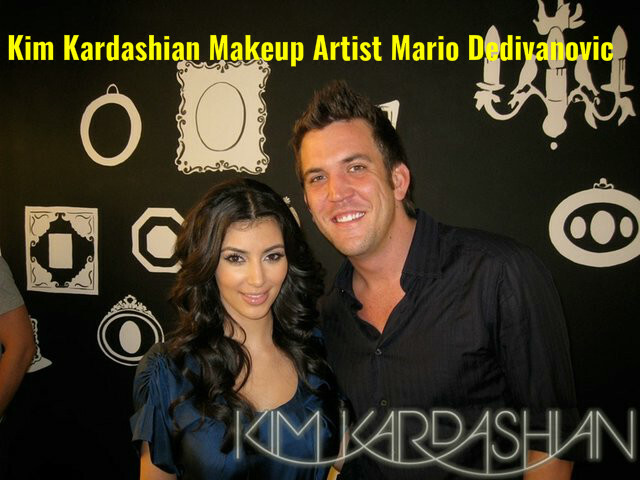 Mario Dedivanovic is a celebrity makeup artist and very famous for his makeup tricks. He is the man behind the gorgeous look s of the reality TV star Kim Kardashian. This has made her one of the most wanted ladies in Hollywood in terms of makeup. Here Mario Dedivanovic himself says about some of his makeup tricks and provides you some tips on how to do makeup in the right way. Most of you apply foundation on your face and neck and forget about the other parts of the body that are exposed. According to Mario, you must apply the foundation on all parts of your body that are exposed. So, along with your face and neck, you are to apply foundation on your arms, ears, legs, chest and your feet too. If you think it is a bit over the top, take care to apply some on your ear at least. If not, your ears will look darker in shade than your face and neck in photographs. Many of you apply a primer on your skin before you start with a foundation. According to Mario, it is better to apply a softening cream on your face and neck instead of a primer. This provides a good base, on which the foundation will blend perfectly. According to him the primer forms a sort of barrier between the skin and the makeup. He says that Kiehl’s Ultra Face Cream is a good cream to use as a base. Mario is always fond of using cream based products instead of powders. He also avoids using eye primers. Instead of eye primers, he uses cream based eye shadows. Once the cream based shadow is set, he uses pigments or powders on it. This way a richer and more intense effect is produced. According to Mario, when you work on your hair, it will leave some remains of the hair spray on your skin, which you will have to wipe and remove before you put on the makeup. If it is not removed, the alcohol may react with the product. This can change the color or texture, or both of them. When you do the hair first, you can of course wipe off the spray fallen on your face. But you have to remember that when you apply makeup, you have to tie your hair back so that no strands fall on your face. This allows you to apply the makeup properly. So, after you style your hair perfectly, you will not want to tie it up for applying makeup on your face. Lashes have an important role in making your eyes look beautiful. Mario uses L’Oreal Paris Voluminous Original Mascara for the lashes. He applies it in generous amounts from the roots to the tips. After applying it, he uses a lash comb to separate the lash hairs. If you wish to use false eyelashes, you may use so. Then you must apply a second coat of mascara over both the lashes. This makes your lashes look amazing. The lashes must shine and look exotic. Mario’s new baking concept is perfect for making your dark circles vanish. He calls it the sandbagging effect. It is a simple makeup trick and removes all traces of dark circles. All you have to do is to apply the concealer under your eyes in the shape of an inverted triangle. Now blend the edges of the triangle in such a way that they blend well with the foundation. Next you have to coat the concealer with loose powder using a piece of sponge. Leave it for twenty minutes and then you can remove the excess powder from the concealer. The result is superb. Using powder puff ensures that your foundation does not get smudged. It gives you a good balance when you apply the eyeliner and fill your brows. After you are finished with your base, take the powder puff and press it on your face, as you apply your eyeliner and the do the brows. This makes your makeup perfect and you will soon get used to this technique. Mario works on the eyebrows with much care and takes lots of time so that they are made perfect. The result that is got makes it worth the time and attention given. If you are using a brown, he says that you use medium brown to fill the outer corners of your brows and as you go in, you may lighten the shade you use. This way your eyebrows will look softer and lighter. According to Mario, contouring is very important and he takes it very seriously. He contours the cheeks and the nose, which is followed with a double highlighting. Then he finishes off with a blush on the cheeks and the temples. Once the makeup is over, you will look stunning and gorgeous. Mario is totally against using one eyeliner only. He is of the opinion that you must use three to four layers of different eyeliners to make your eyes look stunningly beautiful. He says that this way your eyes will get a luxurious and expensive look. He applies kohl over the lashes and then goes over it with a liquid liner. Finally he finishes with a cream color. This results in a perfect winged eye. If you want to look as stunning as Kim Kardashian, follow the tips above. They are sure to help you look alluring.